Countries have agreed to write a new climate agreement to begin in 2020 and replace the Kyoto Protocol. The agreement will be finalized at the 21st UN Climate Convention Conference of the Parties (COP) in 2015 in Paris, but the text of the agreement will be finished this year at COP20 in Lima in December. 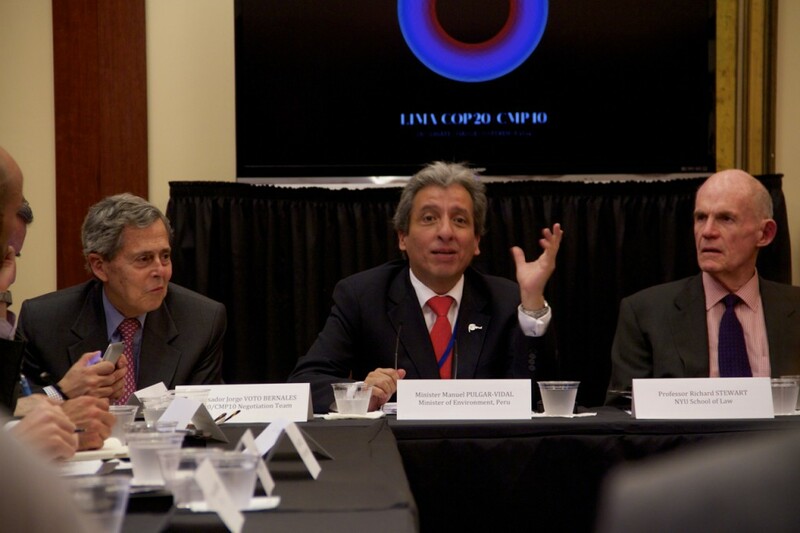 As host of COP20, Manual Pulgar Vidal, Minister of the Environment for Peru will be the President of the COP. The Peruvian COP Presidency and the Guarini Center are hosting an academic roundtable on issues related to climate change, and in particular, related to the outcome of the Lima COP.